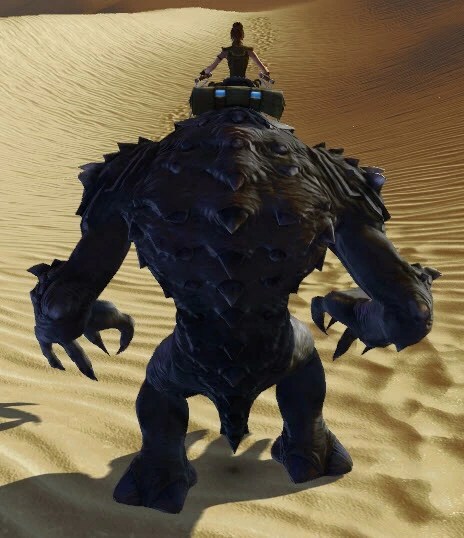 Rancors were large carnivorous reptomammals native to the planet of Dathomir. They were usually born brown, but in special circumstances, such as the mutant rancor, jungle rancor, and the bull rancor, their color may have differed. Although found on other worlds such as Lehon—where they were brought by crashed starships—Ottethan, Carida, Corulag, and Felucia, those from Dathomir were said to be stronger and more intelligent than others. 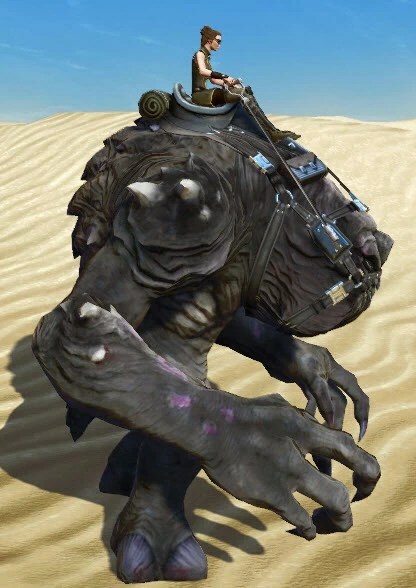 They had been used for many things, ranging from mounts for the Witches of Dathomir, to pets for crime lords such as Jabba Desilijic Tiure, to being a source of food, and as a means of entertainment by dropping someone into its pit.